Updated by Caleb Denison on 3-14-2014: In a single day, the Pono Kickstarter exceeded its goal of $800,000 and is currently tracking at $3.2 million with 31 days left. The celebrity-signed versions of the Pono are sold out. Audiophiles have been murmuring about Neil Young’s PonoPlayer for over two years, and now they’re climbing over each other to secure one, possibly saving a few bucks in the process. Today, a Kickstarter campaign was launched for the much-anticipated high-resolution music player, offering a limited number of the $400 players for just $200. That early bird deal is no longer available, but at the time of this writing, a black PonoPlayer can still be had for $300. Pono (which is Hawaiian for “righteous”) was one of the first proposed high-resolution music players/projects back when Neil Young announced his intentions to bring it about. Since then, others have jumped into the high-resolution audio game, though few have produced anything portable – iRiver’s Astell & Kern series is a notable exception. The player is intended to feel familiar to users. A touch-screen with swipe navigation allows browsing of music by song, artist, or genre, and shuffled playback is available if desired. Two outputs are provided, one for headphones, the other a line-level output jack intended for use with a larger audio system. According to the PonoMusic Kickstarter page, the PonoPlayer can handle any kind of music file, including high-resolution music available from already well-established services like HDtracks. But Young and the Pono team hope you’ll want to buy music it has secured in as high-resolution as 96 kHz/24 bit and 192 kHz/24 bit FLAC (free lossless audio codec) format from its PonoMusic app and online store. Detractors have loudly questioned whether the higher-resolution, somewhat space-hogging music files are of any real benefit to the casual listener. In our experience, the files do provide better dynamics, higher clarity, less noise, and more sonic texture than lower-quality files. But the PonoPlayer aptitude isn’t tied solely to the music file-types it can handle. Much has to do with the quality of the components inside the player, most notably the DAC (digital to analog converter) and amplifier circuit. For this, the PonoMusic team consulted with Ayre Acoustics, a vaunted player in the audiophile electronics area. 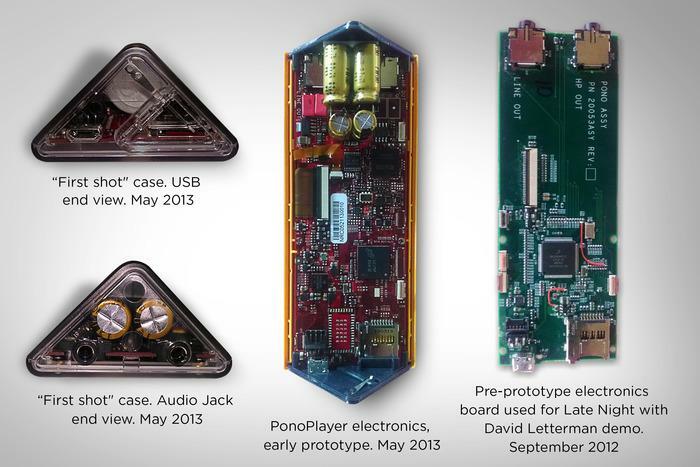 It is likely that the components that make the Pono go are top-notch, indeed. 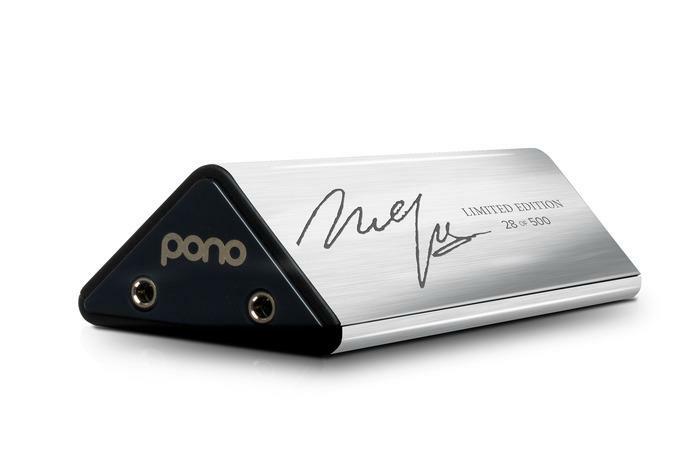 If the initial reaction to the Pono Kickstarter page is any indication, Neil Young and PonoMusic will easily meet their goals, and production will begin soon. When we first visited the Kickstarter page, total pledges were at $142,000. After watching one of the page’s videos, that sum bumped up to $227,000. As of this article’s initial publishing, the number stood at $397,740.